Google selects its notifications by learning from your behavior. Google has a search application for your iPhone or Android device called Google Now. By using Google Now for repeated searches, the app starts to learn your common searches and automatically funnels those search results into your notification panel. 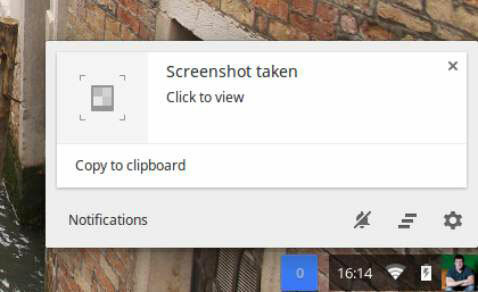 Additionally, as you use the Google search engine through the Chrome web browser on your Chromebook, Google tracks and learns your searches in the same manner. For instance, say you’re a huge Indiana Pacers fan and you keep up with the scores by conducting Google searches. Google will learn your search habits and begin sending scores automatically to your notification panel. The notification icon will disappear if you have no new unread notifications. Wi-Fi: Click the Wi-Fi option to view available wireless networks. If you’re already connected to a network and you want to view information specific to that connection, simply click the network, and a window will pop up revealing additional and advanced information. Bluetooth: In the Bluetooth section, you can enable or disable your Bluetooth signal. This is extremely useful because Bluetooth can quickly drain your battery if left unchecked. In this section, you can browse Bluetooth devices and manage your connections. Volume: Easily control volume levels by dragging the slider to the right to increase and to the left to decrease the volume level. As you navigate through the different basic settings windows, you always have the option to navigate back to the main Settings page by clicking the left-pointing arrow at the bottom of the window. If you’re in the Wi-Fi window, for example, the button at the bottom will look like < Network. If you’re in the Bluetooth window, the button will be < Bluetooth. If you want to get into the advanced settings, you can do so by clicking Settings in the settings panel window.